For most homeowners, perhaps the biggest makeover of all their homes will ever go through is that of having new windows and doors fitted. Unless planning to go for an outright extension or large-scale remodelling effort, home improvements really don’t come a great deal more major or important than this. On the plus side, quality double glazing has never been more affordable or readily available, so doesn’t necessarily have to represent the hugely expensive investment it may once have been. Of course, with so many providers all gunning for your business, it’s inevitable that not all will be willing or capable of offering the same quality standards. Regardless of whether you’re on the market for sash window refurbishment services or a complete overhaul, it’s crucial to know how to spot something of a rogue trader when you see one and be willing to walk away. After all, it’s your own best interests that matter most here – not those of the folks selling you the windows and doors in the first place. It is of course the job of the salesperson to do all they can to have you think their products and services are the very best on the market by a million miles. However, at the same time there’s really no excuse for being pushy or for any seller to basically force, bully or beg you into making a decision that works in their favour. There will always be those occasions in which you find yourself on the cusp of making a decision despite the fact that you know it may not in fact be the right one. It’s a talent to say the least, but one you should avoid at all costs – walk away from pressured sales pitches. In exactly the same vein, a responsible seller with your best interests at heart will give you all the time in the world to think about what it is you’re after and summarily make your decision in your own time. They’ll know you won’t get a better deal elsewhere and have every confidence that you’ll make the right decision. By contrast, those that only care about sealing the deal for their own benefit will pressure you into rushing your decision as quickly as possible and make out that it’s something of a now-or-never situation. This is really never the way to go, so if you get the feeling you’re being rushed, take your business elsewhere. In any business area where those in operation are producing tangible and measurable results like the fitting of windows and doors, they should be able to produce vast archives of evidence to back up their claims to fame. It’s not enough to just tell you how great they are at what they do, they should also be able to show you. As such, it’s not too much to expect a large and impressive portfolio of work to be readily available on the provider’s website. If however you find yourself having to ask for examples of their work or to simply take what they have to say at face value, there’s a pretty good chance this is not a provider you’ll be glad you did business with. These days, there is simply no excuse for offering rough estimates for any given job and nor is it in your best interests to take any seller’s word at face value when it comes to pricing. Quite simply, unless they are willing to give you a full and unshakable price for the whole job in writing, you should definitely walk away. Verbal estimates followed by massively inflated final prices represent literally the oldest trick in the book when it comes to ripping off unsuspecting buyers. So, in order to rule out any nasty surprises, insist on written quotations and guarantees of no additional charges before going ahead. 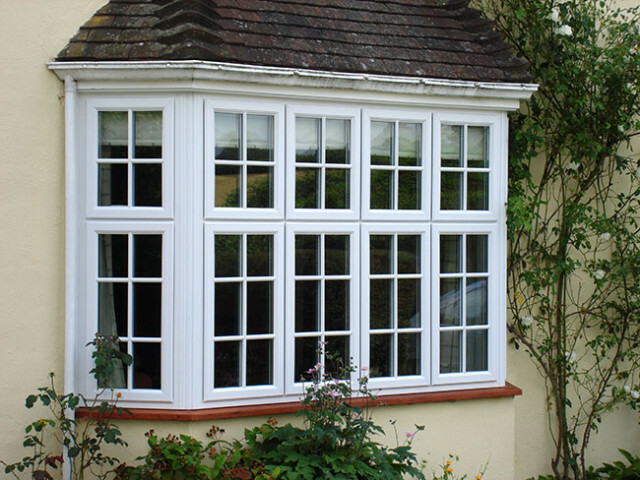 Last but not least, while there are of course always those services that promise slightly lower prices than their rivals, there’s no such thing as a freebie when it comes to quality windows and doors. High-end products do not in any way come cheap and nor does quality labour, which is why it’s important to view any offers that seem too good to be true with caution. Sure, you can expect a good deal, but if you’re supposedly being offered market-leading products and fitting for 60% cheaper than the average price, this should set alarm bells ringing to say the least.